There is no greater sensation that sinking into the Earth, grounding and integrating to connect with the core of your being. The goal of Savasana is that of complete release. Every muscle fiber and every thought is relaxed and quiet. The mind, however remains very awake and alert, quietly resting on the breath. Being in the Corpse Pose is not a time to sleep, as often occurs, usually after a rigorous, physical class. We laugh at those that fall asleep during Savasana and giggle when the snoring begins. We all have all been in the class where this happens. Staying awake and alert, yet sinking deeper and deeper into the breath and the presence of our interior place is why Savasana is the most difficult pose of all! Savasana is the place of inactivity of the mind and body, a place of total calm alertness to fully integrate all that you are, all that you have been or will be. To come into the pose, simply lie down on the floor. If you feel uncomfortable, you can place a pillow or yoga bolster under your knees to help you relax and release your lower back. If your body feels vulnerable, or cold, cover yourself with a blanket. This is very nurturing and puts you into your own little womb. While doing an individual treatment session, a client of mine laughed when I placed a blanket over here when we were doing this pose, practicing belly breathing. She stated that she felt like a little baby being swaddled. Despite her laughter at her "silliness" she learned quickly that this is a very, very supported and self-loving pose. Next, become mindful of your arms and shoulders. Depending on your state of being that day, you may want to place your palms upward and open. This is a gesture for receiving. If you feel guarded or in need of conserving your energy, you many want to turn your palms downward. Play with your arm/leg positions and find the most comfortable place for you. 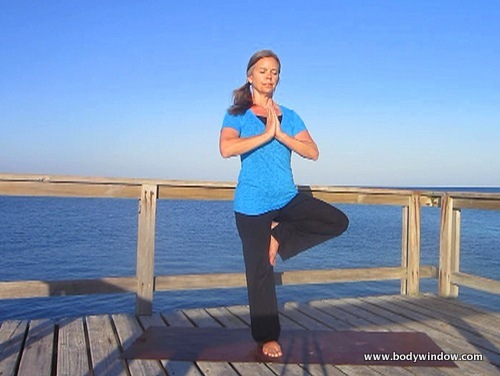 In this pose you do not want your mind wandering to a place of continual discomfort. 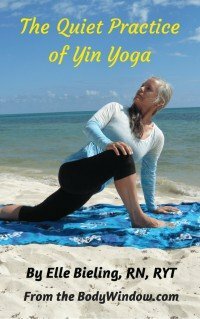 One of my favorite invitations in the practice of Yoga, especially Yin Yoga, is to invite my students to allow their bodies to become part of their soul's experience. In order to do this, one has to find this internal, peaceful and connected way of being. In Savasana, the body is the vessel for this interior journey. Without a body in full stillness and repose, the journey to the soul is not complete. By turning your attention to the sweetness of your breath, its cadence gently lulls your heart into a Presence that is unknown in an active, normal mind. When you achieve this serenity of your inner consciousness, you can allow your attention to turn to thoughts and feeling that arise spontaneously. This is where you access the Source, God and your true self. This is consciousness at its highest. This is "meditation" that we all dream of achieving. May you always take your journey in the Corpse Pose in a fully awakened and alert state, so that you too, may access your innermost Self! Namaste!